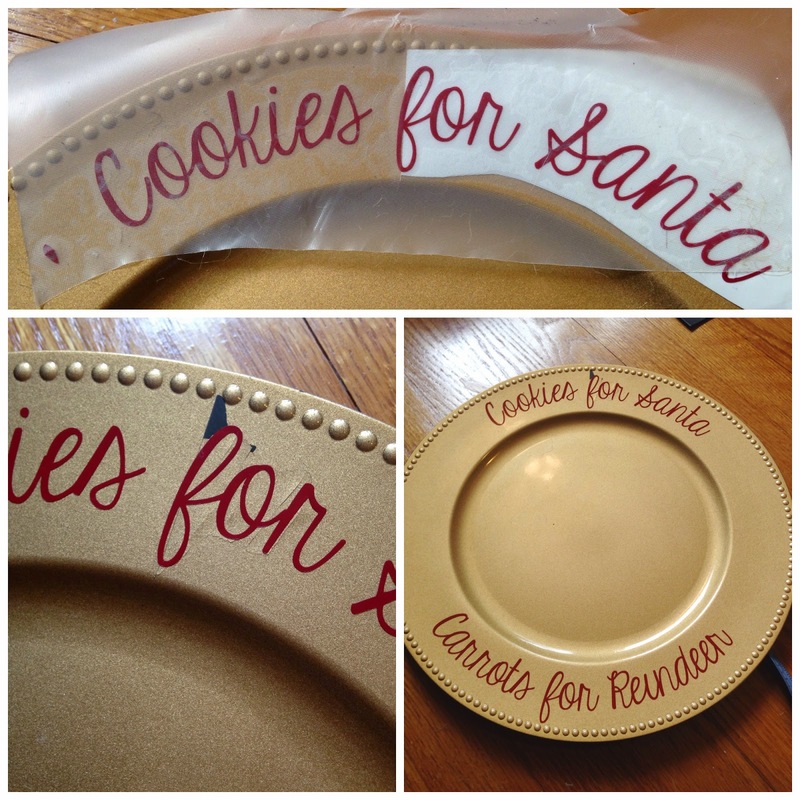 "Ok I want to do a Santa plate...just words around the outside....who can help me? Is there a design out there I can buy? Thanks!" can almost always find the text somewhere for free - unless it's a specialty font like Samantha that is NEVER free, but often on sale. 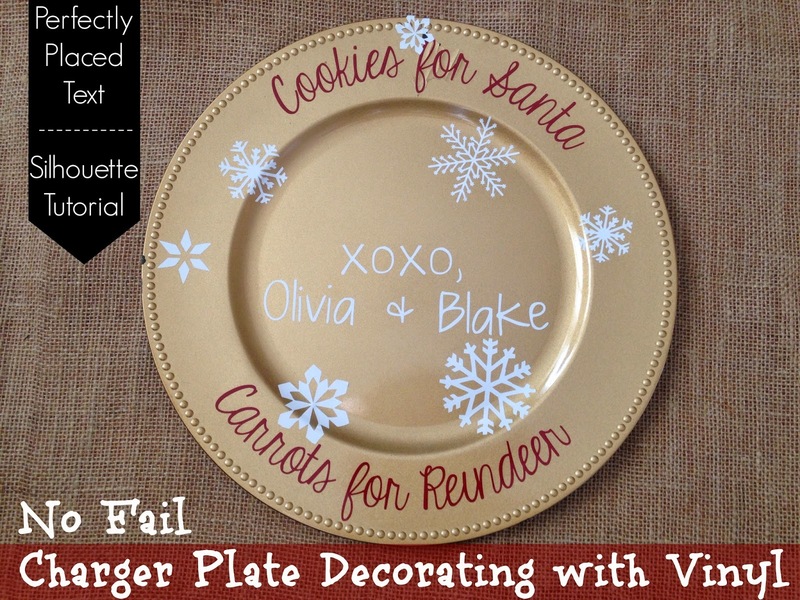 The easiest way to decorate charger plates is to first have the charger plate in hand. I got four of these gold charger plates at Dollar Tree last year. You want to measure the full diameter of the plate. Because this plate has bumps, I measured the area from just inside the bumps because I don't want my vinyl going over them. This plate was 12.25" in diameter so in Studio I drew out a circle and then from the Scale window manually typed in 12.25 leaving the box checked for 'lock aspect. Then measure the inside area of the plate (the part inside the rim). In Studio, make a second circle that's that exactly that same size. 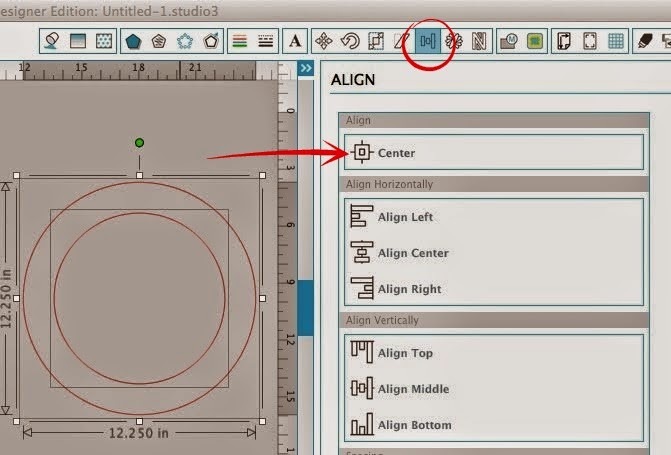 Place the smaller circle inside the larger circle and use the Align tool to exactly center the smaller circle > Select both > Center. Usually I would tell you to group the circles, but if you do that the text to path in the next few steps gets all wackadoodle so don't group them, just don't move them. Double click on the first line of font until you get the green outline. Then click on the directional arrow in the lower left corner of the font box and use it to drag the font so it sits on top of the inner circle. With the green box still around the text, slide up the bar so the text moves up between the two circles and onto the rim of the plate. Be aware of where the letters are hitting the plate. I had to move mine up enough that the lower part of the 'f' was fully on the rim. If necessary, use the character spacing tool to adjust the space between the letters. 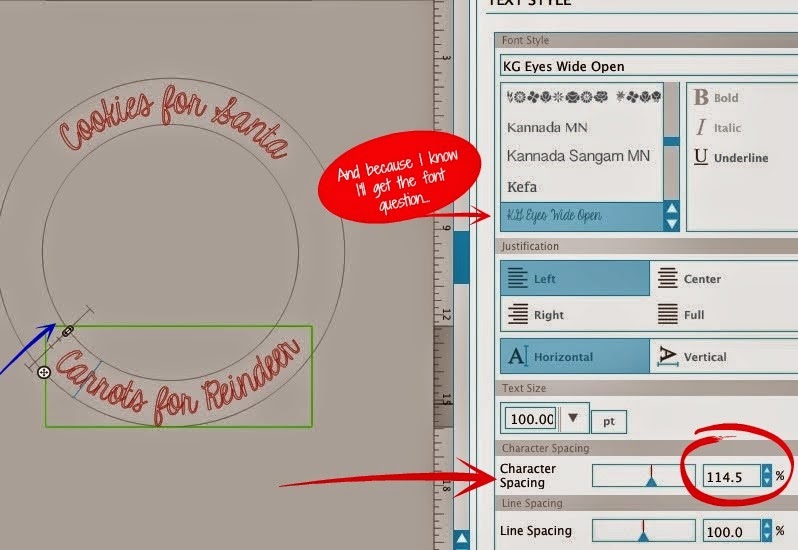 Repeat for the second line of text...except that you'll have to put the text on the inside of the larger circle...then use the bar to drag the text up into the rim. Again adjust the character spacing, if necessary. If necessary, weld the letters together. Then the last and most important step is to go back and click on each line of text > right click > convert to path. This makes the text stay in the curve even when you delete the "plate." If you want to add any other designs or shapes to your plate do it now before you delete your two circles. Be sure to size the designs so they fit your plate. Then go ahead and delete the two circles and your words will stay in position. 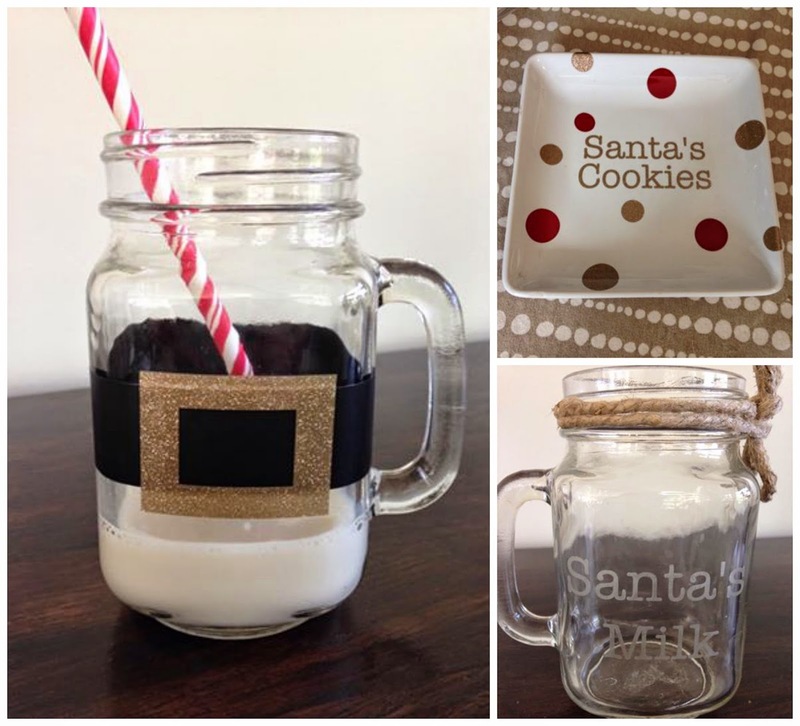 You can cut then in one large piece like this if you'd like, but you end up wasting a lot of vinyl. I sort of nested the two lines of text together and cut that way. I used clear transfer tape to put the bottom piece on first. I found the middle of the bottom design and then used a piece of painters tape to mark the middle up to the top of the plate. Very scientific, I must say. Then I used my favorite hinge method to add the second piece of vinyl to ensure it was centered, straight, and even. Vinyl is not food safe..so the plates are for decoration only. The font on the bottom aligns with the larger circle and I cannot drag it up. When I do, it moves the location of the curve to straight again. How can I just adjust the words as it stays curved? Vicky Jaegar once you get both lines like you want them you can click on both circles and hit click convert to path unless you need those circles to add other text or design then at that time you can click on the circles and click on convert to path. Good Luck. You may want to go back and go over the tutorial again. sometimes I also get confused. Hope this helps. Are these plates able to go into the dishwasher or hand wash with soap and water? Tdunn, did you make sure to clean your plate with rubbing alcohol first? 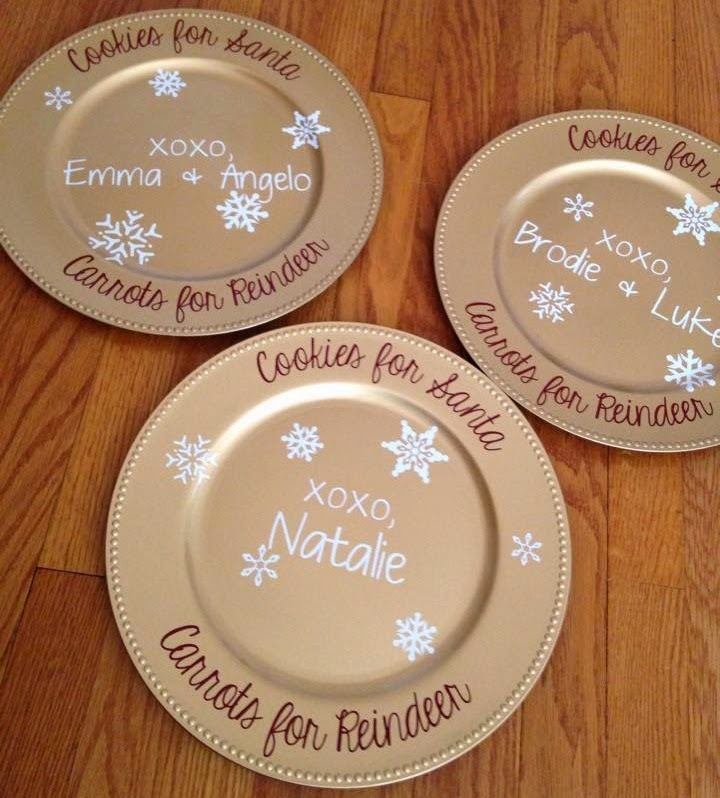 I decorate charger plates often and the best charger plate to decorate is 13 inches round. It fits a lot more, my opinion. And, no, these charger plates are not dishwasher safe nor are they food safe.